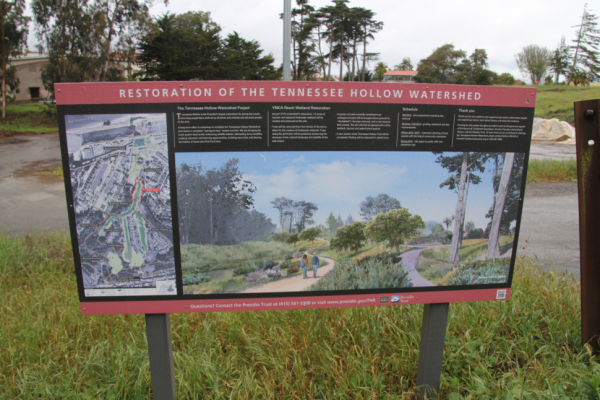 Presidio Trust Wetland Restoration | Prunuske Chatham, Inc. The Presidio Trust Wetland Restoration project will restore and create 8 acres of creek, freshwater wetlands, and brackish marsh at three sites within the Presidio of San Francisco, providing mitigation for impacts on wetlands from runway safety improvements at San Francisco International Airport. PCI coordinated approvals between two landowners—the Presidio Trust and Golden Gate National Recreation Area—and three regulatory agencies—US Army Corps of Engineers, Regional Water Quality Control Board, and the San Francisco Bay Conservation and Development Center—for the project. In addition to securing state and federal permits, PCI participated in the Trust’s internal project development and screening processes for ensuring consistency with the Presidio’s NEPA planning documents and provided guidance to allow CEQA compliance for the Trust, a federal agency, to obtain discretionary state approvals. PCI also designed and constructed the required mitigation at West Pacific Trail, which involved close coordination to ensure compliance with permit conditions and to address the myriad resource issues present at the site (e.g., historic forest, public use, invasive plant removal, revegetation with native species, and cultural resources). PCI also prepared and has overseen implementation of Stormwater Pollution and Prevention Plans (SWPPPs) for the East Arm of Mountain Lake and YMCA Reach of Tennessee Hollow.